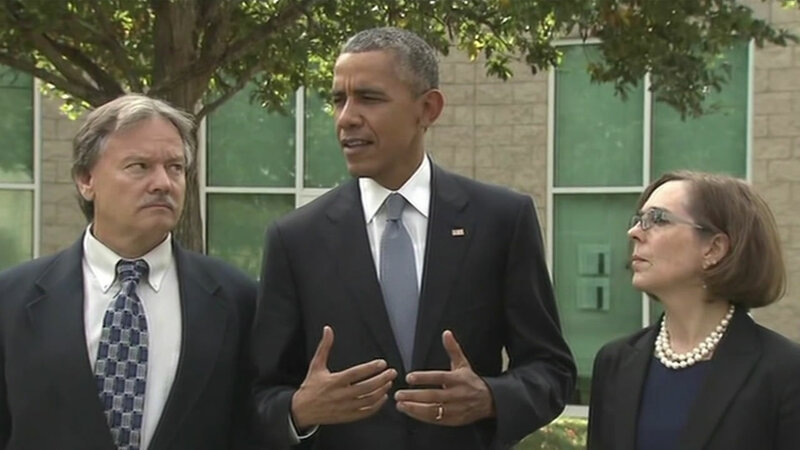 ROSEBURG, Ore. -- President Obama visited Roseburg, Oregon on Friday to meet privately with family members and surviving victims of last week's deadly shooting. Obama, faced with protests over his meeting with victims of the shooting, held to his view that something must be done about deadly gun crimes. But given the freshness of the week-old tragedy, he said, "Today, it's about the families." 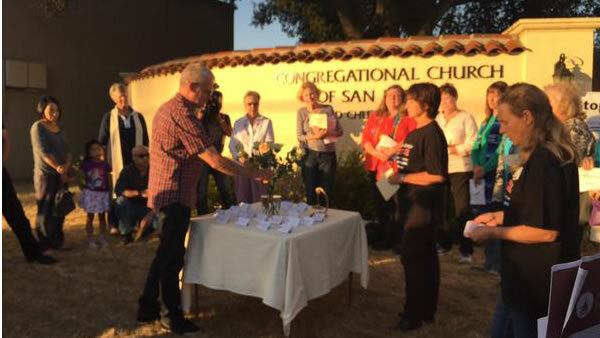 Hundreds of people gathered in the nearby town of Winston last night to hold a candlelight vigil for the victims of the Umpqua Community College shooting on Thursday. A local pastor says he now has the unthinkable duty of organizing nearly a dozen funerals this week. "I've got some very strong feelings about this," Obama said, adding that these occasions always remind him that anyone could be the victim. At Umpqua Community College in Roseburg last week, a gunman killed eight students and a teacher before using the weapon to take his own life. On Friday, fatal shootings were reported at colleges in Arizona and Texas. "We're going to have to come together as a country to see how we can prevent these issues from taking place" so regularly, Obama told reporters following the approximately hour-long, private meeting with grieving relatives of those who were killed and injured. "But today, it's about the families, their grief and the love we feel for them." The White House did not say how many people Obama met with. Immediately after the Oregon shooting, a visibly angry Obama appeared at the White House to declare that thoughts and prayers are no longer enough in the aftermath of such incidents and that the nation's gun laws needed to be changed. He said the issue is one "we should politicize." 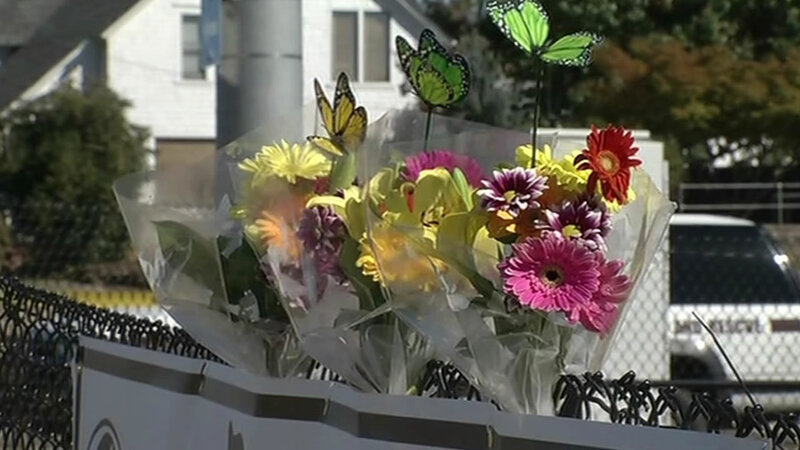 The San Mateo chapter of the Brady Campaign Against Gun Violence held a vigil Sunday for the Oregon School shooting victims in support of gun control. But his message didn't sit well in Roseburg, where gun ownership is popular and some area residents began mobilizing against his visit almost as soon as the White House announced he was coming. Hundreds of supporters and protesters gathered near the local airport where he arrived by helicopter, and signs welcoming the president were mixed with other signs advocating for gun rights. Obama said the families wanted him to know how much they appreciated the outpouring of support from around the country. "The fact that the college didn't permit guards to carry guns, there was no one there to stop this man," said Craig Schlesinger, pastor at the Garden Valley Church. Referring to potential protesters, White House spokesman Josh Earnest said no one should fear Obama's visit. 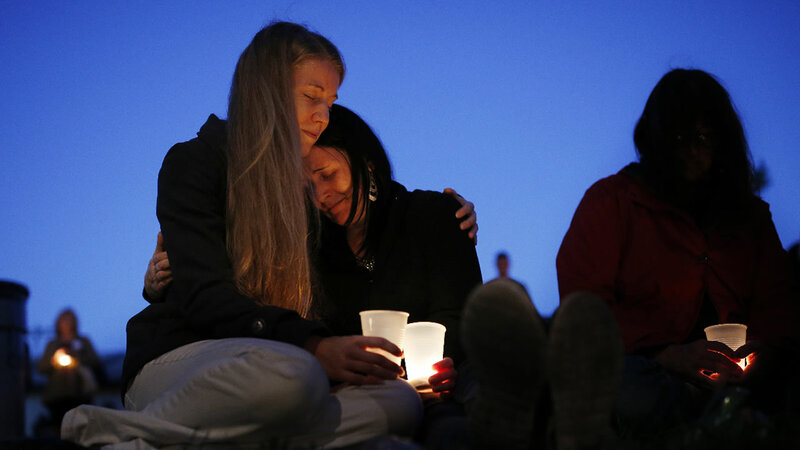 After the Oregon college shooting that killed nine people, the community is in mourning remembering those lost in a senseless act of violence. "The fact is the president has made clear that the goal of his visit is to spend time with the families of those who are so deeply affected by this terrible tragedy," Earnest said. Some of the most poignant moments of Obama's presidency have occurred in his role as consoler in chief. Just a few months ago, he led the grieving after nine worshippers were gunned down inside a historically black church in Charleston, South Carolina, singing "Amazing Grace" at a funeral service. In 2012, he read the first names of the 20 elementary school students who were killed in Newtown, Connecticut, and asked how the nation could honestly say it's doing enough to keep its children safe. Obama was already scheduled to travel to the West Coast, mostly for weekend fundraising events in Seattle and across California, when the 26-year-old gunman opened fire last week at the community college. The White House adjusted his schedule to add the Roseburg stop. The shooting has sparked new talk about gun violence, though history suggests the prospects for enacting legislation are highly unlikely. Republican lawmakers are talking about considering legislation to improve mental health care. Democrats are pitching the formation of a special committee to investigate gun violence, similar to panels the GOP-led House established to investigate Planned Parenthood and the 2012 attacks in Benghazi, Libya, that killed four Americans. "No proposal is going to stop every shooting, but we can come up with solutions that stop some tragedies," said Democratic Rep. Mike Thompson of California, leader of the proposal for a special committee. Earnest has cited requiring background checks for all firearms purchases at gun shows as an "obvious thing that we believe that Congress should do." Obama is arriving in San Francisco on Friday night for a private fundraiser. 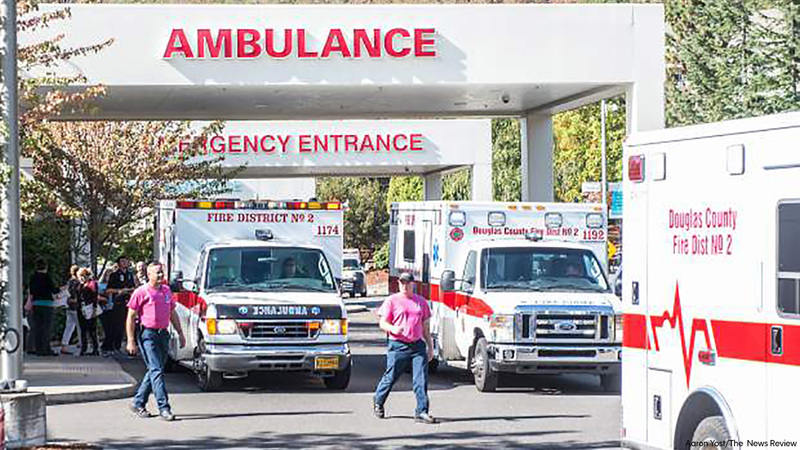 Click here for full coverage on the Oregon college shooting shooting.